The Free School, Dead Medium Productions’ new documentary about Ireland’s first ‘Sudbury Valley School’, broadcast this morning on Newstalk. 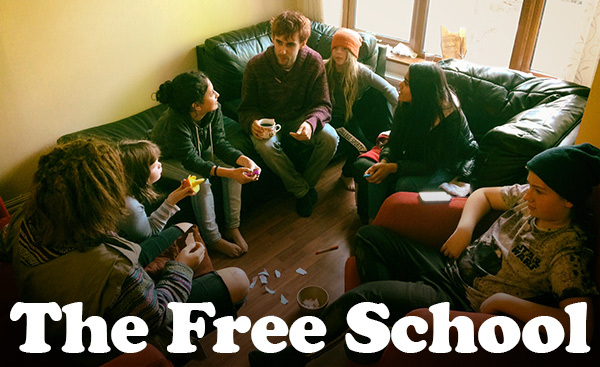 Wicklow Sudbury is an experiment in alternative education, bringing ‘free schooling’ and ‘unschooling’ to Ireland. You can stream the programme above, or download at our podcast link below. It will also be rebroadcasts at 10PM on Saturday 18th November. More information – Sudbury Valley Schools, the free school movement, the history of alternative education [PDF]. Special thanks to all the staff and students at Wicklow Sudbury School, including Aaron, Ciara, Sonja, Isthara, Mia, Kashmira, Rick, Fionn, Ed and Faye; and to the national school students featured at the beginning and end of the programme Sophie, Conor, Emma, Aoibhin, Tadhg, Donal and their parents Clare and Keith; to Joanne Lane who was kind enough to speak to me while visiting Wicklow Sudbury; and to Emer Nowlan of Educate Together, and environmental educator Joesph Campbell.